After AQC I flew to the Gold Coast. 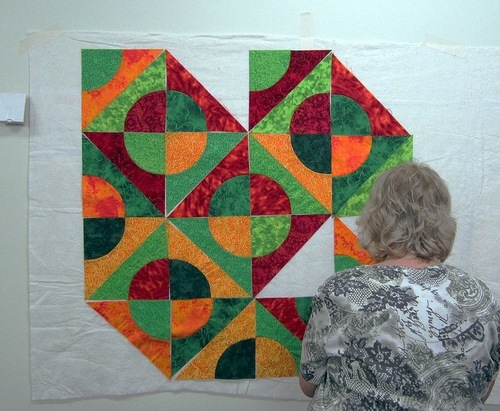 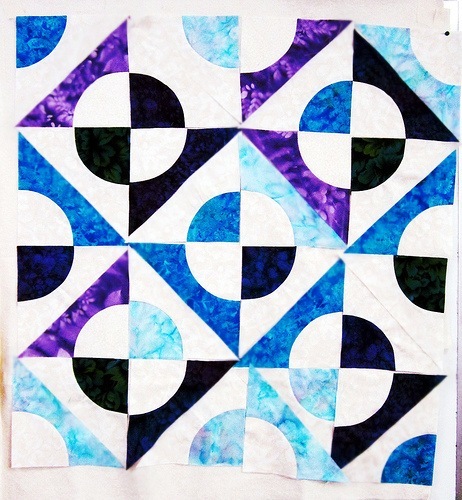 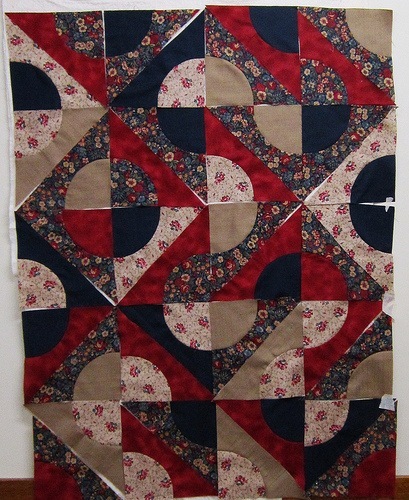 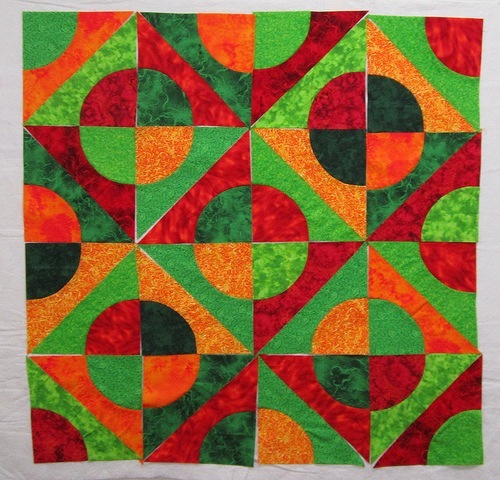 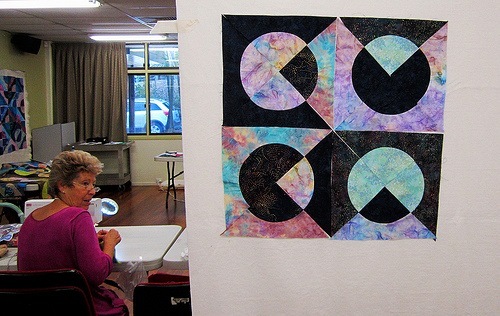 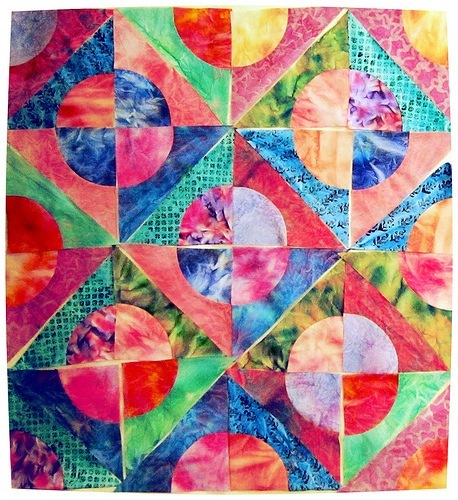 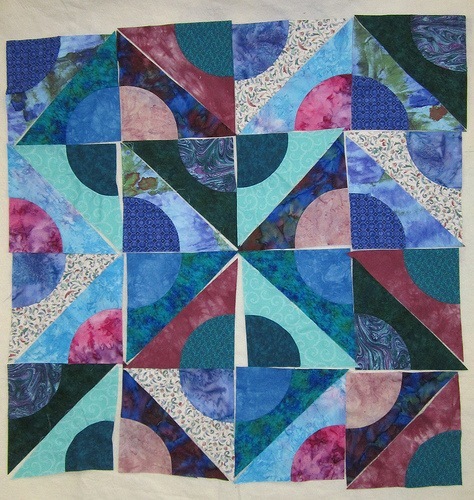 I taught my "Drunkards Path Stepping Beyond" class for the Gold Coast Quilting Group. 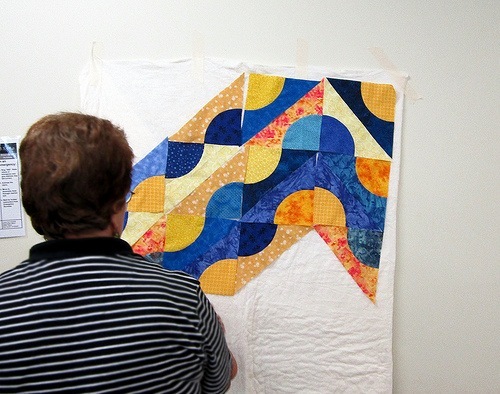 When teaching, my philosophy is to teach a technique and watch what the student does with it. 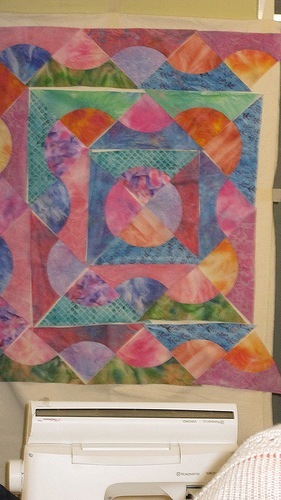 I had 14 ladies in the class and every quilt came out different. 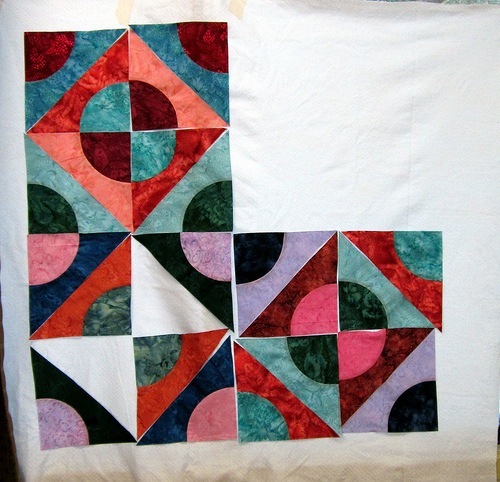 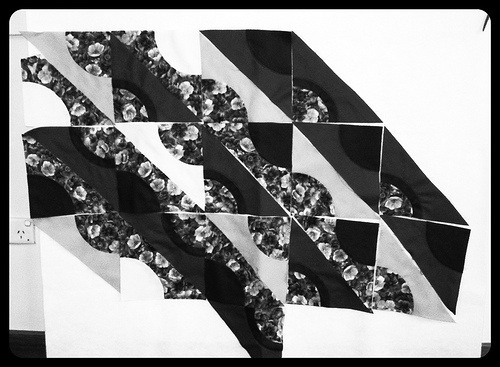 The class itself is a 2 day class with the girls learning four ways to put a Drunkards path block together; then creating their quilt from one of those methods. The drunkards path technique was created by Cheryl Phillips, from Phillips Fiber Art; using the Cut-around tool. 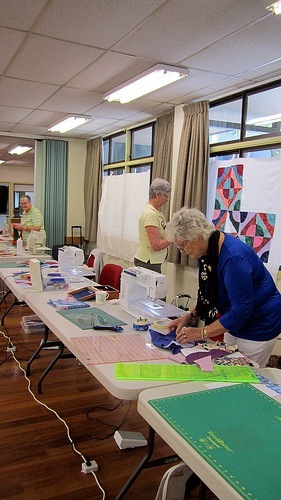 Some of the ladies used more than one technique to create their quilts. 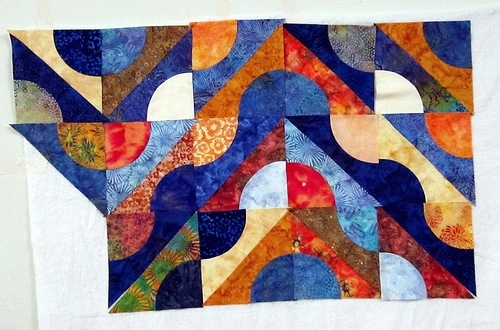 With the use of colour and the positioning of the blocks an endless number of designs can be discovered. 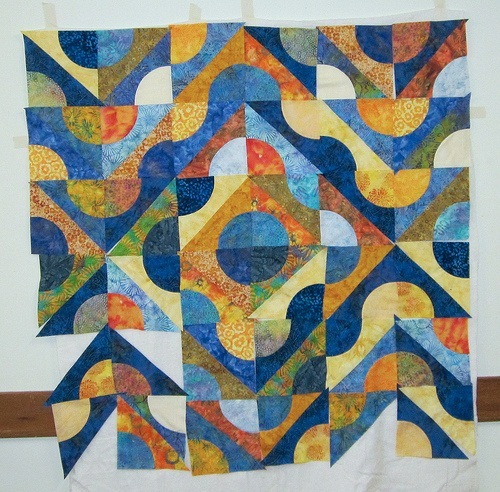 Below are the different quilts that were made during the class, not one of them was alike. 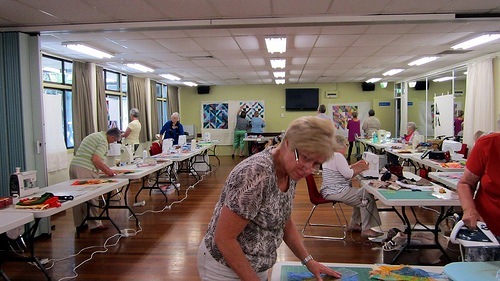 Classes are a great way to learn new techniques. 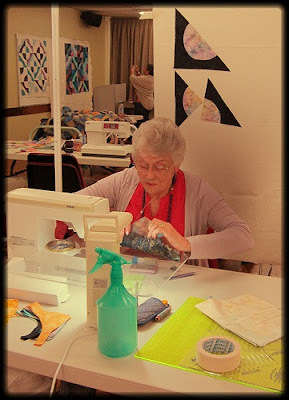 I always enjoy a class whether I'm the tutor or student.